(Natural News) A new “DNA dipstick” could revolutionize disease diagnosis and improve general healthcare in third-world countries. 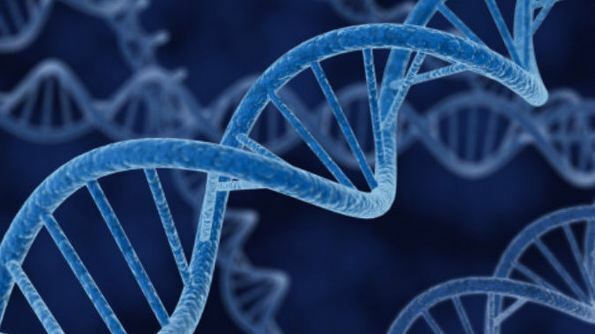 Scientists have simplified genotyping into a tool that purifies DNA and RNA from living organisms in under 30 seconds. Their recent technology is featured in PLOS Biology and shows how genetic material from organisms can be typed in mere seconds. Previous use of the technology involved lengthy and expensive procedures that required special laboratory equipment. This tool is easy to understand and even simpler to use. Tissue samples are ground and shaken before the dipstick is inserted into the mixture. The nucleic acids bind to the dipstick, which is made from wax-coated filter paper. The dipstick is then washed with a solution and transferred into another liquid that is ready for DNA amplification. The dipstick was first created to extract and purify plant DNA. However, researchers saw vast potential in using this technology to identify various viruses, fungi, and bacteria in animals as well as humans. The team is currently working on improving their technology to identify human pathogens in food. There are other implications for this tool. According to the team, the dipstick is estimated to cost only around 15 U.S. cents per sample. Its size is also an advantage; doctors can carry scores of these in a small bag. This means that medical professionals can use these in areas that are inaccessible to modern conveniences such as a field hospital or isolated farm. Study author Jimmy Botella enthused, “We have already successfully used the dipstick in remote plantations in Papua New Guinea to identify a pathogen that was killing trees…the dipstick technology makes diagnostics accessible to everyone. It is very easy to forget – given the current political climate – how much we have to be grateful for. Regardless of your stance on our healthcare, the fact remains that we do have access to medical technologies that can identify various pathogens. How we choose to deal with these problems is another story; our right for health freedom, for example, should never be impinged upon. Nevertheless, there are still places in our world that do not have this issue because doctors simply do not even have the means to correctly diagnose illnesses. One cannot fight for freedom if one doesn’t even know it exists. The new DNA dipstick may offer assistance in a much more worrisome issue. Diagnostics for infectious disease in developing countries is lacking. People living in low-income countries are denied life-saving treatments simply because they are not even aware they are sick. Or, if they display acute symptoms, medical professionals there can’t diagnose them. More disturbing is the issue of population control. Natural News has repeatedly reported on a less-than-subtle move to minimize the Black population. This is done through the forced vaccination of African children and adults. People are told by “well-meaning” government and health groups that these vaccines are good for them – without being told what is inside these supposedly “good” medicines. This is allowed because people just assume that they are sick. They remain uneducated on the various pathogens and illnesses surrounding them. Will the DNA dipstick help with this? Perhaps. It definitely won’t solve everything but it could help doctors in far-flung areas at least improve their diagnostics. Read more articles on DNA diagnostics and other similar news at Research.news.